417 Exit 1 , left off of exit. Left at Newport on the Levee becomes Washington. Left on 6th Street, Right on Park or Monroe, to Right on 7th Street. Nestled in the heart of the East Row Historic District so you can walk to everything you desire. 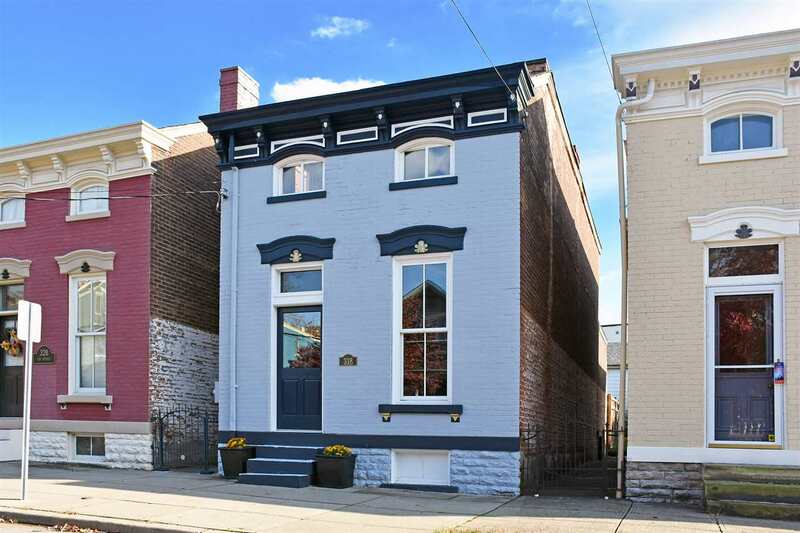 This historic, low maintenance, brick home is well suited for being a 1 bedroom home with copious amounts of living space or an efficient 2 bedroom floorplan. Brand new, eat-in kitchen and 2 new baths compliment natural woodwork and exposed brick. Upstairs walks into a large family/rec room space that is great for a guest quarters. Spacious back yard features privacy fencing and repurposed-brick paver patio. A dynamic and versatile space that is immaculate, modern, and move-in ready.